Another year, another round of Windows 10 updates – most likely 1803 in March, and 1809 in September or thereabouts. The company calls this "Windows as a service", the idea being that users get a constant flow of improvements. The advantage for Microsoft is that it can begin to escape its legacy prison, where keeping compatibility with a large user base on old versions of Windows restricts its ability to innovate. In this respect Microsoft has made progress but has a long way to go. According to Netmarketshare, 45 per cent of PCs still run Windows 7, and only just over 27 per cent Windows 10. Statcounter, another site that collects data based on website visitor tracking, puts Windows 7 and Windows 10 nearly neck and neck at around a 42 per cent share of Windows PCs, but with 7 still fractionally ahead. Windows 10 is gaining ground, though, but is that because users who need Windows can hardly avoid it, or is it driven positively by compelling new features? There are elements of both, but lacklustre adoption for key features including Cortana, the Microsoft Store and the Edge browser raises the question of whether Microsoft's main areas of focus in Windows resonate with its customers. So what is coming for Windows 10 in 2018? The next big headline feature is called Timeline. This was introduced at Microsoft's Build conference in May 2017, deferred from the Fall Creators Update (October 2017), and is now set for the next release. Timeline is an enhancement to the Task View – summoned by Windows + Tab, or clicking the Task button to the right of the Start button – which lays out previous activity in the form of a timeline. In other words, it shows previously running tasks as well as what is currently running, and lets you reopen them. It also works across PCs and devices, so if you visited a website in Edge on Android, it should show up in Timeline on your PC. Timeline tasks are called Activity Cards and have to be supported specifically by application developers. This means that, initially, the Timeline will mainly feature Microsoft applications. Another issue spotted by those using Windows 10 Insider Builds is that some PCs are used by more than one family or team member sharing a login, who may not want their past activity shown for all to view. The feature works by sending activity history to Microsoft's servers, which is another privacy aspect. Another productivity feature, currently called Sets, is not expected until the second 2018 release at the earliest. A Set is a way of having multiple applications open in tabs – in the preview it looks like the Edge browser is the container – and saving them as a group so you can reopen them together later. The concept reminds me of Microsoft Binder, a feature of Office 95. The Edge browser is also being updated, with the most notable new feature being Service Workers, enabled by default in the latest Insider build (17063). "We believe Service Workers are a foundational new tool for the web with the potential to usher in a new golden age of web apps," says the Edge team. Service Worker is one of several features which together form the platform for Progressive Web Apps (PWAs), which are installable, work offline, and behave more like native applications. 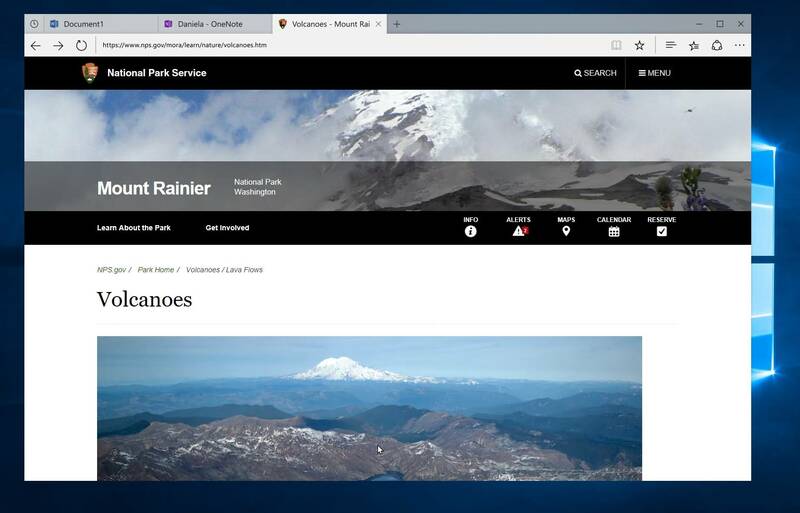 PWA development is dominated by Google Chrome, but Microsoft argues that integration with Windows gives Edge an advantage. For example, push notifications from websites or PWAs are handled by independent background processes. "There's no need for Microsoft Edge or your PWA to be running for the push to be handled," says the team. Edge is also getting support for open-source media formats via a Web Media Extensions package, which adds support for OGG Vorbis and Theora.